Friends and fellow substitutes, NSTA is always working to improve our professional lives through our annual conferences, on line consultation and educational advocacy but today we are announcing plans to help where we all hurt, in the pocket book! In cooperation with the Enservio Corporation’s ReStore Mall, NSTA members will be eligible for substantial discounts at the stores where we already shop. Macys, Target, Sears are included as well as smaller more specific interest retailers such as Sierra Trading Post and Bath and Body Works. With this new program, you will even receive a 30% discount from Angie’s List. 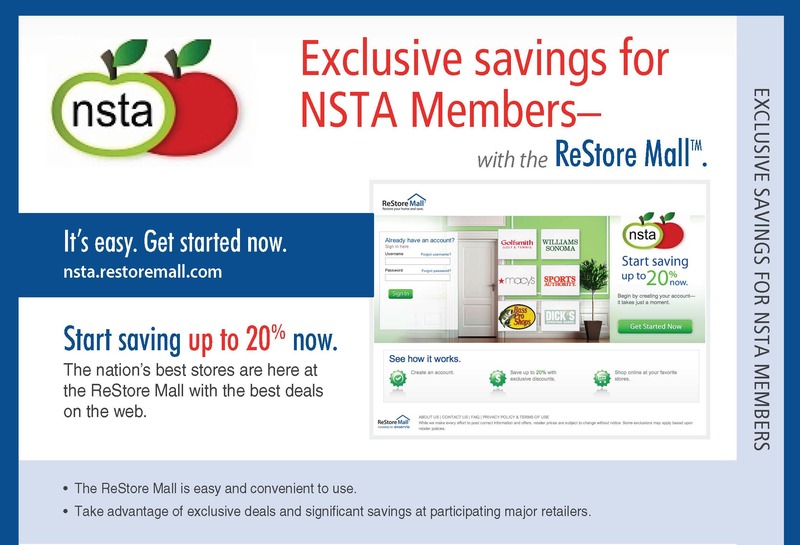 The ReStore Mall is for current NSTA members and is not available to the general public. Once you are signed up as a member of NSTA there is no further cost but the discounts are available the next day. My friends, this is something that members have been asking for and which your officers and I have wanted to offer for some time. The time is now. 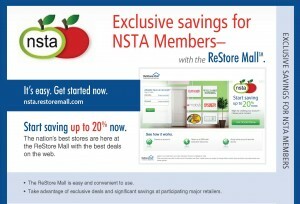 If you are already a member you can access the ReStore Mall Web Site nsta.restoremall.com and start saving at once! Newcomers are always welcome in NSTA and you can join online by going to our website NSTAsubs.com and fill out the membership application. Over the next few days, you will be receiving an enrollment email which will provide you with direction on how to sign up for the mall. Once you establish your account you can start saving any time. Joining has always been the right thing to do and it has always provided intangible benefits and it still is and still does but now it’s also a smart thing to do and the tangible savings make membership better than ever. Now is the time to consider joining NSTA so that you can help become a voice for Substitute Teachers/Guest Teachers. We are also looking for individuals that would like to become part of the leadership of NSTA. If you’re a current member It’s time to renew your NSTA membership. Don’t forget to do so before it’s too late. NSTA Dues year is from July 1, 2018, to June 30, 2019. New this year will be online NSTA Membership being processed online. Please complete your NSTA Membership application online and then hit submit, you will then be sent to PayPal to pay your member. Once your membership and online payment have been received you will receive your 2018-2019 membership kit. Any Substitute Teacher attending any NSTA sponsored conference will receive a 50% discount from the current nation NSTA Dues. Join the NSTA Mailing list to get the latest NSTA Information emailed directly to your inbox. Take Advantage of our great membership benefits! Have Skills or Interests that may help NSTA?